Everything you need to know about cameras that are perfect for Vlogging in 2019! With the explosive growth of vlogging, thousands of consumers are grabbing their smartphones and making vlogs of their daily life. If you’d like to do the same, you should invest in a high-quality vlogging camera. Although it’s possible to use the camera on your smartphone, it’s not an ideal piece of equipment for creating vlogs. It’s a much better choice to purchase a dedicated camera for vlogging because it will allow you to create better videos for your audience. The only problem is that there are thousands of different cameras to choose from, and without the right knowledge, you’ll find that it’s nearly impossible to know what cameras are best for vlogging. Jump to the sections of this guide that you really want to get to. What Platforms Do Vloggers Use? Over the last few years, vlogging has become extremely popular, but a lot of people still don’t know what it is. When you think of a vlog, you should think about a shortened version of a video blog. It’s like the video version of a blog post. When a person says they’re vlogging, it means they’re filming a short video of their daily life. In the last few years, the popularity of vlogging has grown exponentially, and currently, the growth trend shows no signs of slowing. One of the major reasons why vlogging has become incredibly popular is because the cost of the required equipment has dropped significantly. In the past, the equipment was too expensive, and most people couldn’t afford it. A major difference between vlogging and television is the intent. Unlike traditional media outlets, vloggers don’t always create videos for money. Vlogging is a word used to describe video blogging, and the term owes a large part of its popularity to YouTube, which is an online publishing platform for video creators. Since the explosion of Internet bandwidth and smartphones, vlogging is something that almost anyone can do, and there is a good chance that you already have the equipment needed to make your own vlogs. A lot of people think you must be a well-known star to make money vlogging, but the truth is that anyone can do it. When you’re getting started, you might not make much money, but over time, you can build up an audience and start to make significantly more money. There are countless ways for vloggers to make money, and some strategies are more common than others. Advertising serves as one of the easiest ways for vloggers to make money. Google AdSense is a well-known program, and if you’re vlogging on the YouTube platform, it’s easy to get started with AdSense. Each video that you create is a piece of content that can be used to attract advertisers. Google AdSense is a great program because it matches advertisers with vloggers. The concept is very simple to understand. When an advertiser uses a vlogger’s video to display their products, the vlogger gets paid a percentage of the advertising revenue. Google AdSense makes it easy to quickly monetize your vlogs and gives you the opportunity to make money from your efforts. Another popular way for vloggers to make money involves selling branded merchandise. As your brand grows, your audience will grow with it, and eventually, you can start selling branded merchandise. Today, it’s easier than ever before to find companies that will do the heavy lifting for you. Many companies will create custom merchandise that has your brand logo on it, and you’ll be able to sell it to your fans for a profit. Several top vloggers sell branded t-shirts, socks and hats, but you’re not limited to these types of products. Sponsorships can also bring in a lot of money. Advertising tends to bring in the smallest amount of revenue, and many vloggers view it as the icing on the profit cake. Once your audience grows large enough, you’ll have far more reach, and you’ll be able to find sponsorship deals. Depending on your audience, you might not have to do any searching for sponsorships, and the companies will come to you. When a company sponsors you, they might give you money and products, and in exchange, you’ll need to mention them in your vlogs. When shopping for a vlogging camera, there are many important features to consider, and you should also be aware of the features that you don’t need. Since most vlogs are up close and personal, you don’t need to worry about a zoom feature when shopping for a vlogging camera. You also don’t need a flash because it’s likely that your videos won’t require it. You can even ignore megapixels because they’re only important for photos. Most of the cameras on the market are designed to perform a variety of different tasks, which is great for the average consumer. Since you need a camera that is best for vlogging, this is bad news for you. For the typical vlogger, zoom and flash features are almost useless. However, if you plan to record travel vlogs, then it’s not a terrible idea to consider a camera that has a decent zoom feature. When it comes to professional photography, most people view the built-in camera flash as a sin, and they never use it, which is why you don’t need it. If you choose to eliminate these features, you can focus on getting a camera that is better for vlogging, but it’s not the end of the world if you can’t find a camera without them. When shopping for a great vlogging camera, you need to pay attention to the low-light performance. Most vloggers would argue that low-light performance holds the greatest importance. As you film and create vlogs, there is a good chance that you won’t be able to control the lighting. To give your audience level of quality that they deserve, you need a camera that can perform well in low-light conditions. If you think that low-light performance is only important when filming outdoors, somebody must’ve told you a lie. The ability to perform well in low-light conditions is also important for indoor environments. A camera that doesn’t work well in low-light environments will reduce the frames per second and create image noise. There are several qualities that ensure a camera will perform well when there isn’t much light around you. The lens aperture is important, and a quality lens should have a wide aperture, which allows the lens to capture more light. A wide aperture is also great for improving the aesthetics of every vlog that you create, and it allows you to achieve a blurred background effect for your vlogs. Some of the best 50mm lenses have an f/1.8 aperture. The amount of noise produced by your camera at a higher ISO setting also affects its ability to perform in low-light conditions. Unfortunately, this is something that you can only test while using the camera. When shopping for a top vlogging camera, you need to consider the sensor size. A larger sensor can capture more light, which is important for vlogging. The type of camera that you purchase has a major impact on the sensor size. Camcorders tend to have the smallest sensor size, so they don’t perform very well when there isn’t much light around you. The next biggest sensor size comes with compact cameras, but most compact cameras shoot terrible video. DSLR cameras tend to have the second biggest sensors, and you’ll find the largest sensors on high-end DSLRs and full-frame cameras. Before you find a vlogging camera to purchase, you need to find out if it has optical image stabilization. Although this feature isn’t necessary for vlogging, it’s recommended because it allows you to record better video while moving around. Some people have difficulty watching shaky videos. Wi-Fi is another useful feature to check for. As a vlogger, you’ll need to film and upload lots of vlogs. A camera that comes with built-in Wi-Fi can automatically upload your videos and make vlogging much easier. The Wi-Fi feature will be especially useful if you plan to upload your vlogs to YouTube, which can automatically sync with many modern cameras. A lot of people will put up with low-quality video, but the one thing that they won’t tolerate is poor sound quality. If you want to be a vlogger, you need to make sure that you’re filming with the best sound that you can afford. To get the best sound, you should try to choose a vlogging camera that has a microphone input. Almost all compact cameras do not come with a microphone input because it’s considered a premium feature. If your camera can accept input from an external microphone, it can dramatically enhance your vlogs because it will be able to produce far better sound. If you can’t find a camera that has an input for an external microphone, you should at least know the position of the camera’s built-in microphone. The best option for vloggers is a front-facing camera mic. When you turn the camera around to film, it will capture your face and absorb as much of your voice as possible. A microphone located on the side of the camera can be troublesome because you’ll forget about it. You might accidentally cover a side microphone with your fingers and prevent it from recording correctly. These are some of the basic camera features that you need to check for, but before you can find the best vlogging camera for your needs, you’ll need to ask yourself some important questions. First, you need to know what type of content you’re planning to create. For example, are you planning to vlog about cooking tutorials or action videos. Most vloggers need food colors and sharpness, and the best cameras for these requirements are DSLRs. You’ll find that most beauty vloggers use a high-quality DSLR camera because it offers sharpness and good colors. It’s also a good idea to know how long your average videos will be because you might want to consider getting an extra battery pack. Some vloggers film videos that are 60 minutes long while others shoot vlogs that are no longer than 10 minutes. Before you decide on a camera to purchase for vlogging, you need to know your budget. There are many vlogging cameras that cost around $200, but they might not be the best products for your needs. If you’re serious about vlogging, there is a good chance that you’ll need to upgrade in the future. By starting out with a low-quality camera, you’ll lose most of the money spent on the camera when you decide to upgrade. It’s a much better idea to purchase the best camera that you can afford from the start. However, there is nothing wrong with starting out with a cheaper camera, but when you decide to upgrade, you’ll lose most of the initial cash spent on your first camera. The kind of camera that you buy is very important. Compact cameras are great for travel vloggers but can be difficult to get a good grip on. Camcorders can take decent video, but they’re almost useless for taking photos. Most vloggers use compact cameras because they’re some of the best products for vlogging. DSLR cameras are very popular for vlogging, and they’re used by most of the top vloggers. Vloggers have several different platforms to choose from, but some platforms offer more exposure than others. One of the most well-known platforms is YouTube, and many would argue that YouTube is responsible for the meteoric rise in the popularity of vlogging. YouTube is one of the best platforms for vloggers because it has over a billion users. Another popular platform is called Viddler, and with such a simple user interface, it’s used by many vloggers. Depending on your goals, some other popular platforms that you can use for vlogging are Facebook, Daily Motion and Vimeo. Once you know what to look for and have decided on a platform to use, you’ll need to find a camera to purchase. The problem is that there are thousands of different cameras to choose from. Below, you’ll find a table and reviews for some of the top cameras for vlogging, so you can choose one from the list and save your precious time and money. The top pick is the Canon PowerShot SX730 because it offers excellent value the money. With built-in Wi-Fi, NFC and Bluetooth, it can transfer images to Android devices, PC and social sharing sites. It has a massive 40x optical zoom and three-inch touch screen. Since it can shoot 1080p video, it’s a great choice for vlogging. You can choose to record video at 60p, 30p or 24p, ideal for different filming conditions. It has Digic 6 image processing which delivers exceptional processing power and speed. It doesn’t require artificial light sources, and it automatically removes image noise. If you decide to buy it, you’ll find that this camera is particularly useful in low-light conditions. It will capture 1080p video and stereo sound. The Canon PowerShot SX730 is powered by an NB-13L rechargeable lithium-ion battery, so it can be used away from a power source. If you’re looking for a 4K vlogging camera, consider the Sony FDRAX33. It will allow you to vlog with 4K resolution, and for superior image stabilization, it’s equipped with a ZEISS lens. It features Direct Pixel read out for color gradation and smooth edges. It has a manual control ring for white balance, exposure, shutter and iris. 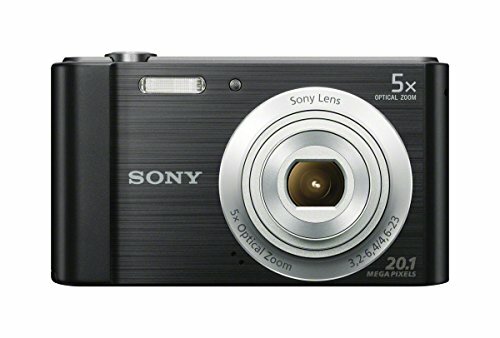 The Sony FDRAX33 offers versatile shooting because it uses AVCHD and MP4 codecs. The 4K resolution exceeds what you’d get from full HD, and the images shot with this camera look extremely realistic and vivid. The ZEISS optics capture sharp 4K and use a 29mm wide-angle lens. With the Ustream feature, you can use this camera to broadcast live, which is great for vlogging purposes. Another top 4K camera for vlogging is the Panasonic LUMIX DMC-G7KK DSLM. Unlike many of the other products on the market, this camera isn’t nearly as bulky and delivers superior image quality. It comes equipped with several 4K modes, and it can be used to take images and video. With fast, precise focusing, it automatically tracks the subject and makes vlogging easier. 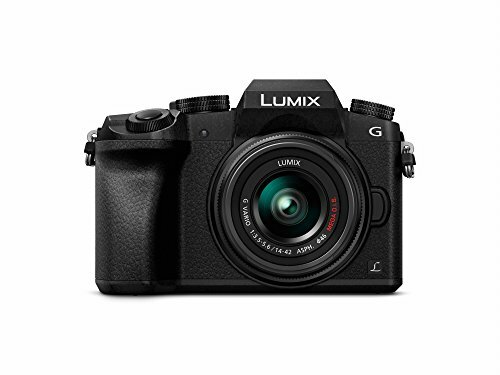 The Panasonic LUMIX DMC-G7KK DSLM offers several different accessory options and comes with an interchangeable lens. It has built-in Wi-Fi sharing, which makes it much easier to upload vlogs. Since this camera shoots 4K video, it offers four times the level of detail that you get from full HD. 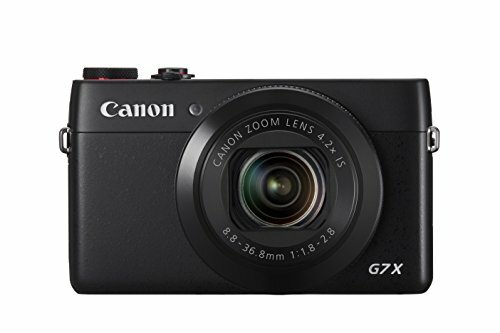 The Canon PowerShot G7 X is a top camera for professional vlogging. It features a high-sensitivity CMOS sensor, which is combined with Canon’s DIGIC 6 image processor. The combination of these components delivers stunning image and video quality. 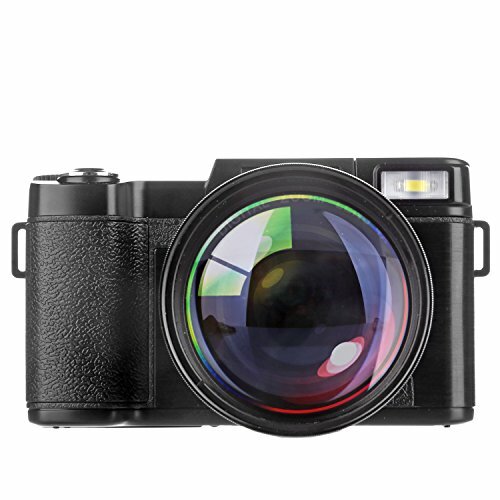 This camera comes equipped with a nine-blade iris diaphragm and 4.2x optical zoom. With a multi-angle, three-inch touch panel LCD, it’s ideal for selfies and vlogging. The Canon PowerShot G7 X captures 1080p full HD video, and the video can be filmed up to 60 frames per second. 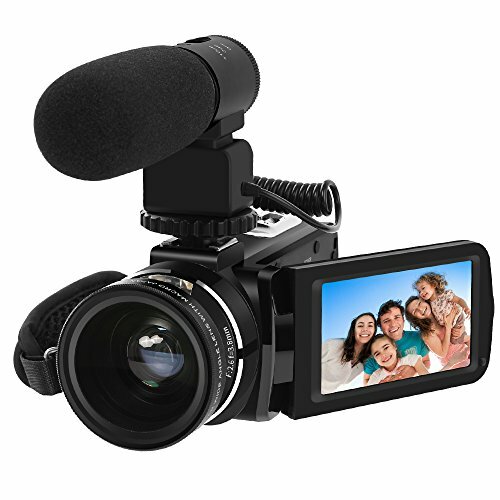 To make professional vlogging easier, it comes with built-in Wi-Fi sharing, and it has a one-inch BSI-CMOS sensor. 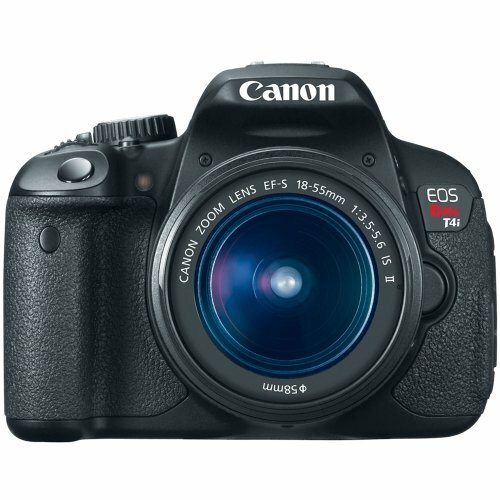 Canon also makes several great cameras for vlogging, and the Canon EOS Rebel T5i EF-S is an excellent example. This camera has an 18 MP APS-C CMOS sensor, which performs well in low-light conditions. It offers five FPS continuous shooting and uses a nine-point AF system. It has an ISO 100-12800, which can be expanded to 25600. This camera is capable of shooting 1080p video in several different FPS settings and has a three-inch articulating touch panel LCD. For continuous tracking of moving subjects, it has Movie Servo AF. The Canon EOS Rebel T5i EF-S serves as an upgrade for the 650D, an it’s a top choice for professional vloggers. It offers responsive operation and has an input for an external microphone. 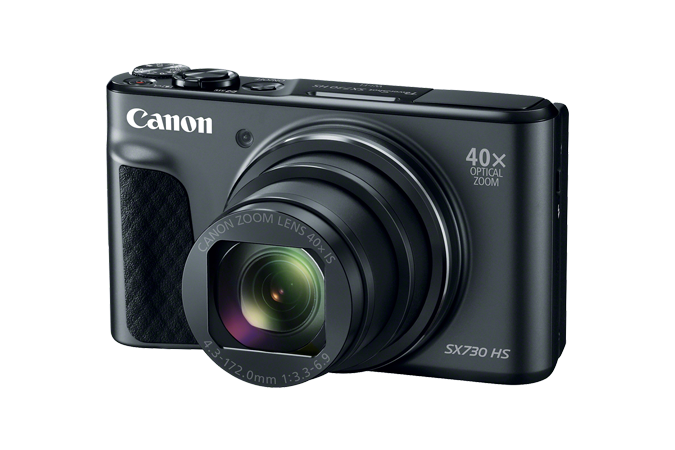 The Canon PowerShot S120 is a popular choice among professional vloggers. With built-in Wi-Fi technology, it lets you wirelessly transfer captured video, and it makes it especially easy to upload the video to social sharing websites. This camera captures video in 1080p full HD, and the built-in microphone records stereo sound. It has a 12.1-megapixel CMOS sensor, which has been combined with the Canon DIGIC 6 image processor. These features provide exceptional performance in low-light environments. The included f/1.8 lens has a wide-angle view and works well for vlogging. 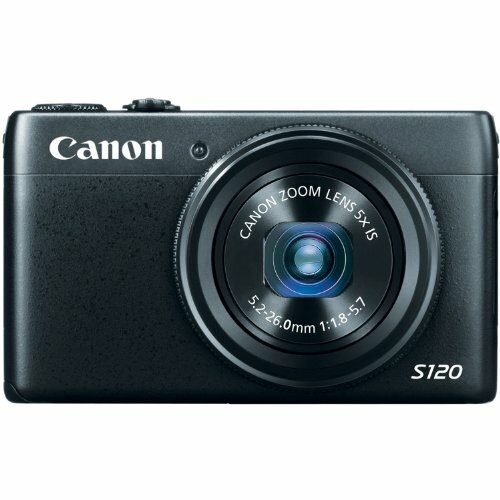 The Canon PowerShot S120 comes with most of the features that professional vloggers will find useful. If you have plenty of money to spend, the Canon VIXIA HF G40 is a top choice. It has a 20x HD optical zoom lens, and with an advanced HD CMOS Pro Image sensor, it delivers superior performance in low-light conditions. It can record video in 1080p full HD and can be set to capture 60 frames per second. With built-in Wi-Fi technology, the Canon VIXIA HF G40 makes it possible to upload vlogs to social sharing sites. It comes equipped with a 3.5-inch OLED screen and dual SD slots. A high-capacity battery allows for long, uninterrupted periods of recording. This camera also uses intelligent optical image stabilization for better image quality. 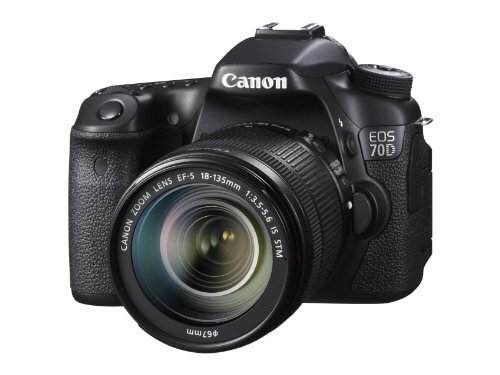 Another high-end vlogging camera is the Canon EOS 70D. It comes with a 20.2 MP APS-C CMOS sensor and uses DIGIC 5 image processing. For high-quality filming, it has a 19-point cross-type AF system and allows for up to seven FPS shooting. It uses ISO 100-12800, which is expandable up to 25600. To deliver high-quality live video, the Canon EOS 70D uses dual pixel CMOS AF, which provides fast focus. A three-inch articulating touch panel LCD screen allows you to change the setting and see what the camera is capturing. It even has a built-in flash and hot shoe. The Canon XA20 is quite bulky and can be difficult to carry, but it’s one of the best high-end cameras for vlogging. It comes equipped with a genuine Canon 20x HD video lens, and it has an eight-blade circular aperture. 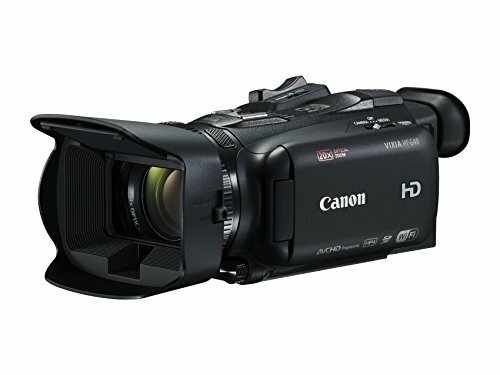 The Canon XA20 can shoot several types of video, and it’s commonly used to capture 1080p video. It can record video in an MP4 format, which is ideal for social sharing sites. This camera has a 2.91-megapixel HD CMOS image sensor, and it uses the DIGIC DV 4 image processor. The combination of these components delivers a wide dynamic range and excellent sensitivity. With multiple built-in Wi-Fi options, the Canon XA20 allows you to wirelessly send your images and video to your computer. It even has a special place for an external microphone. 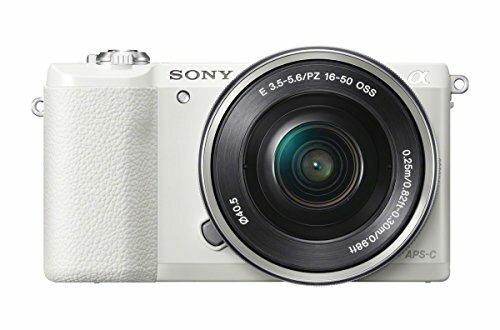 The Sony DSC-RX100M III is a popular mid-range camera for vlogging and comes with a 20.9 MP Exmor R CMOS sensor. With the one-inch sensor, this camera has no trouble capturing video in low-light conditions, which makes it perfect for vlogging. It allows for continuous shooting at 10 FPS, and you can use the pop-up OLED viewfinder to improve your filming. Although it comes with ISO 160-12800, it can be expanded up to 25600. 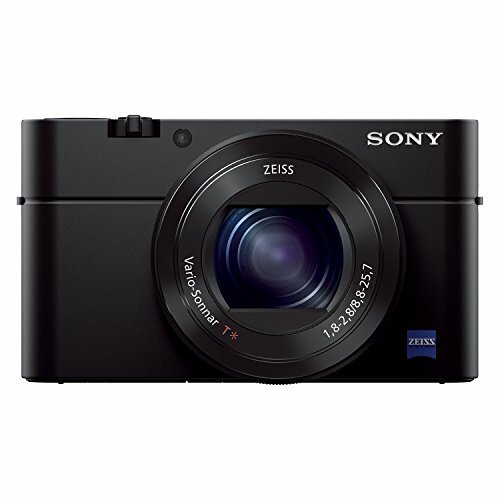 The Sony DSC-RX100M III has a three-inch TFT LCD display, and the screen has enough dots for easy viewing. If you’re looking for a great mid-range vlogging camera for shooting 1080p video, then this product is worth considering. The Sony NEX-5RK/B is another mid-range camera for vlogging, and it delivers DSLR quality with half the weight and size. To shoot stunning video, it uses a 16 MP APS-C sensor, which can shoot up to 10 FPS. It has a fast hybrid AF and phase detection. Although it’s not a DSLR camera, it delivers a level of focus that is like what you’d expect from a DSLR. It has a Wi-Fi sharing feature and can be used with several downloadable camera applications. 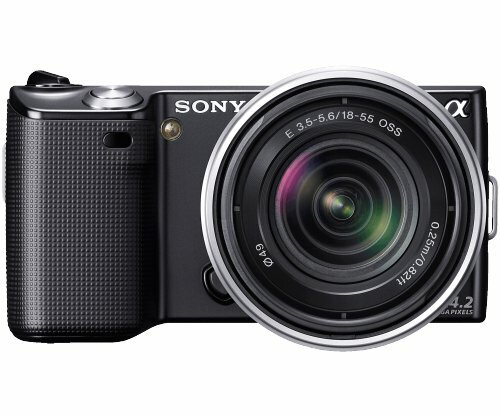 The Sony a5100 has a very fast auto focus and 179 AF points. It can be used to capture life in full HD, and it’s equipped with a 24MP APS-C sensor. With built-in Wi-Fi, it allows you to instantly share captured video with your computer. The Sony a5100 can record 1080p video at up to 60 frames per second. It uses a rechargeable battery and can provide plenty of uninterrupted recording time. I’ve listed what I know to be the most ideal cameras for people who are just starting out with Vlogging and also the best type of vlogging cameras for output on YouTube. If you’re going to be vlogging directly onto YouTube then you don’t really need a top of the range camera to do so. As long as you can plug in your camera and vlog live on to Facebook Live or YouTube with ease, then that’s all you really need. 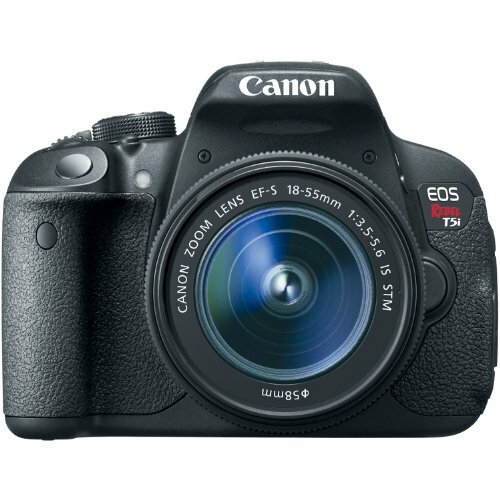 The Canon EOS Rebel T4i DSLR uses a 14-bit DIGIC 5 processor and can shoot 1080p HD video, which is ideal for vlogging. It has a nine-point AF system and offers five frames per second continuous shooting. With an 18MP APS-C hybrid CMOS sensor, it has no trouble capturing video in low-light conditions, and it has a three-inch LCD touchscreen. The Canon EOS Rebel T4i DSLR is equipped with a built-in stereo microphone, but it also has an input for an external microphone. 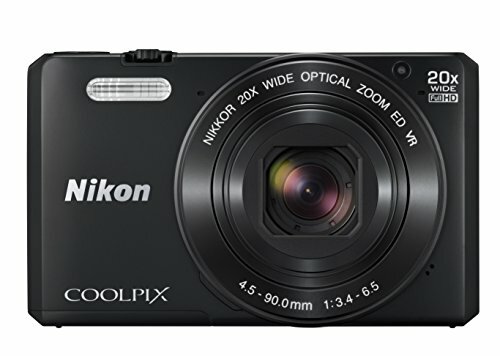 The Nikon COOLPIX S7000 is great for beginner vloggers and features 20x optical zoom. It also has an enhanced digital zoom, which can double the total zoom capability. For effortless vlogging, it has an auto-focus feature that finds targets. It can shoot video in full HD while capturing stereo sound. This camera even comes with 18 different scene modes to choose from. Here we have a budget HD Camcorder that can capture a max resolution of 24MP, and it can shoot video in FHD 1080p. It’s easy to operate and quickly transfers videos to a computer, mobile or tablet via the built in WiFi function. If you want to take photos of your family or create vlogs for the Internet, this is one of the best beginner cameras available, and it’s affordable on almost any budget. 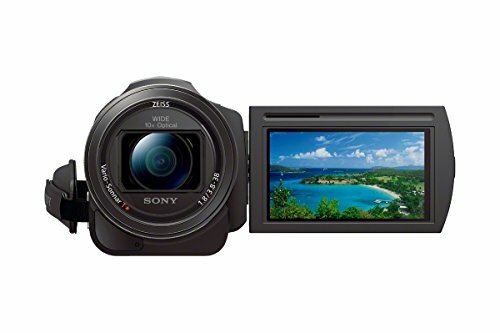 The Sony DSCW800/B is another great vlogging camera for beginners, and it can capture video vlogs in 720p. For detailed images, it uses an MP super HAD CCD sensor. It has a Sony lens with 5x optical zoom. It uses SteadyShot image stabilization to reduce blur and allow you to take great photos. The menu is simplified and easy to navigate, and the 20.1MP sensor is ideal for capturing stunning videos and images. The PowerLead Puto PLD023 is an affordable option for beginner vloggers, and it’s capable of shooting HD videos. With a 22MP sensor, it can capture sharp photos and video. For quick and easy editing, it features a three-inch LCD screen. The PowerLead Puto PLD023 allows you to shoot vlogs in 720p HD and makes it easy to transfer the videos to your computer. Vlogging has become extremely popular, and the growth in popularity is showing no signs of slowing down. With the right camera gear, anyone can get started with vlogging and building an audience. Regardless of your experience level and goals, you should have no trouble finding a great vlogging camera from this list, and you can use it to make your own vlogs. Despite what you’ve been told, vlogging isn’t reserved for the rich and famous, and after you purchase a camera, you can start creating vlogs and telling your own unique story. Who knows, you could eventually start making money from your blog / vlog ! Thanks for the wonderful suggestion. I have a query, if all the specifications remains the same, what do you suggest Nikon Or Canon ? Either. But if I had to choose it’ll be a Nikon. I see you would recommend the Nikon, but didn’t list many above. What would be the best Nikon comparable to the Canon Rebel t5? I create recipe videos and want a camera that will do that well. I am also started to do onsite food reviews including staff interviews. I need one camera that can do both things well. Thanks for your help! Your knowledge is much needed and appreciated. I personally wanted to start a Vlogging of my own. But frankly speaking, I never knew any Idea where to actually start. As far as my research are concerned getting a good Camera is where we should start. I would love to use Rebel DSLR and the Sony DSCW800/B if you ask me. Hello, I am eager to know how to start vlogging. I dont have any idea how to start from it. 2. Think of some video content that people would want to view or find very useful. As a vlogger, you’ll be expected to upload daily or every other day. Hi, I’m blind and I’m interested in starting a video blog. However I have no experience using a video camera and don’t want to rely too heavily on others to help me take videos. Any suggestions would help greatly. Thank you! im looking to start vlogging but ideally I want to buy a camera that I can take really good photos and videos on and ideally has a screen that comes down underneath so that when I amvlogging to the camera I can see myself as I have been told that screens that come up above the camera is obvious as you lify your head but if it comes down no one will notice, can you reccomend a camera that will be able to do that? What about something like the Canon G7x Mark 2? There are a lot of vloggers and YouTubers that use this camera. It is small and has great quality for both video and photos. I am not sure what you are using for a mic. Unfortunately the G7x Mark 2 doesn’t have mic input. If you need mic input the Canon 200D is another great camera. It is a dslr so you can change the lenses for different environments and it has a mic input. Both the G7x Mark 2 and the 200D cost around the same price. I think they are both great options for what you seem to be looking for. Hi, thanks a lot for this fantastic review. Would you please advise what Nikon camera is as good as Canon Rebel T5I. I’ve got 2 Nikon cameras F90X and D60 and the lenses (AF Nikkor 24-120 mm, AF Nikkor 70-300 mm and AF-S Nikkor 18-55 mm), so I would like to stick to the same brand and use the lenses I’ve got already. Hi, do you have a camera that is decent priced and have all of the features that you listed? Thanks for your great review. I want a camera for Vlogging Camera that has mic input and flip screen so I can do short interviews with people in the street. I would like the camera to grow with me as well so I don’t have to buy a camera every year. Anything wrong with using a gopro to start with. Mostly to used out doors action videos and walking shots? GoPro is fine. Although the sound isn’t that great on them, but will certainly do the job well enough. Hi Jamie, I have a blog going and am now ready vlog. I’m stuck between getting the Cannon Power Shot SX730 (to be budget conscience) then when I get enough momentum I can upgrade later. The other option is to get the Canon Power Shot G7. However, I don’t want to get ahead of myself and purchase a camera that I may not fully utilize. I want to make a smart buying decision. The type of vlogging I see myself doing is action videos (where I”m walking down the street, holding it), in the kitchen with the camera on a tripod conversing with friends, face to face with me in front of the camera… I hope to integrate some clips I’ll take with my phone camera too, but I think that’s more of a software editing detail. All this with music in the background here and there, some of voice over, captions, etc. if that gives you any sense of what I”m trying to accomplish. I’m not sure of my vlogging habits (cadence, type) yet since I”m starting, but do plan to invest my work in this. What do you suggest? Hello Jamie, Thanks for this detailed post. It will be helpful for many new vloggers. I am using the Canon PowerShot G7 for my blogging use. It solves almost all my requirements. 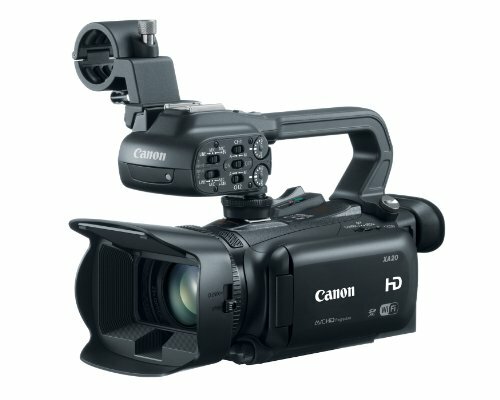 Can you help me understand why cameras instead of camcorders are discussed more frequently for vlogging? I understand cameras can take video, but aren’t they really engineered for photography? And camcorders are specifically made for taking videos. So why do vloggers prefer cameras for video? If you’re not adjusting aperture settings and shutter speed and ISO, why a camera? High quality cameras are not needed for posting videos on Youtube or online. To buy a professional film camera will cost you tens of thousands. 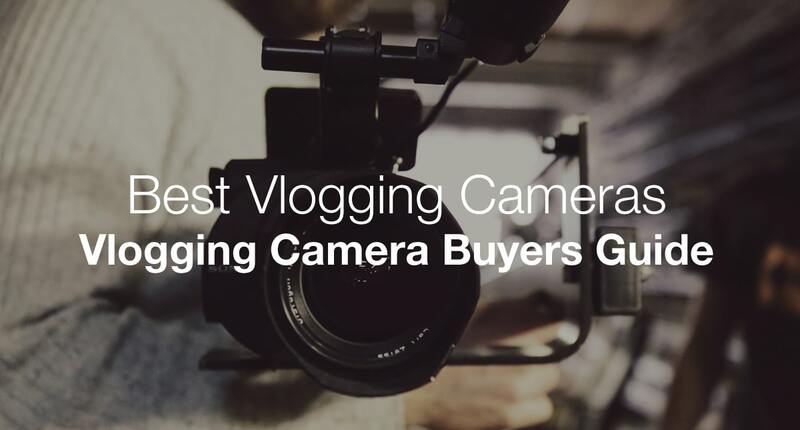 This list is about cameras that are designed for filming vloggs which doesn’t need to be film quality. Yes you can buy a camcorder if you wish, but a lot of these cameras that are engineered for photography also have exceptional video filming qualities. Hi, I have a quick question, I’m looking to begin a Youtube channel and interested I’m in either buying my own materials or asking for them for my birthday. Which camera on the beginner’s list would you recommend? Thank You in advance for the assistance, if I could get an answer ASAP that would be great! Hi, your post helped me out quite a bit! But I’m still having a hard time deciding if I should go with a big bulky camera, or more of a compact style. I’m interested in starting a vlog, but most the videos would be taken inside my house, and I’d also like to use the camera to take photos as well because I love photographing!